Watkins Electrical provide safety switch installation and switchboard upgrades to local Maryborough and Hervey Bay residents. Established in 1951 by a Maryborough local, we’ve managed to retain many of our initial customers and their descendants due to our reputation for quality workmanship. In that time, however, our reliance on technology has increased and many of the switchboards and safety switches installed back then are outdated and not in line with current industry standards – some older houses don’t even have safety switches! Due to the hidden-away nature of switchboards and safety switches, many people are unaware of the dangers that an outdated system poses. 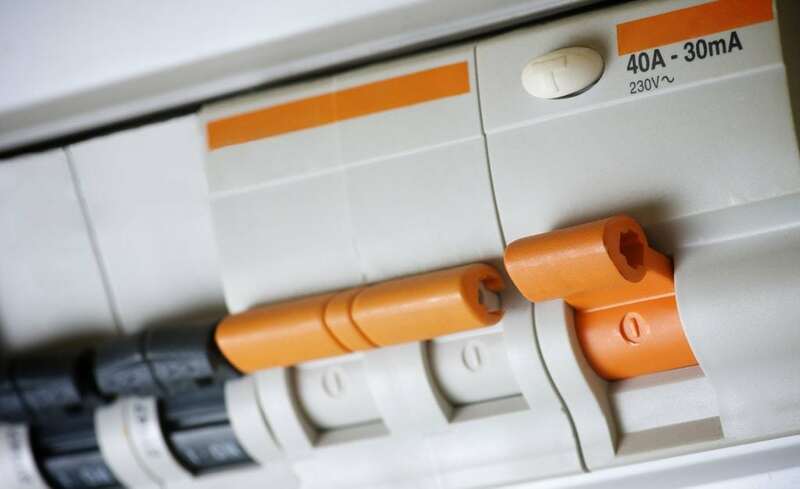 Watkins Electrical take precautionary measures when installing new switchboards and safety switches to make sure nothing is overlooked, keeping your family and appliances safe from unnecessary electrical hazard. If you would like more information regarding this service or are concerned that your switchboard is outdated, give the team at Watkins Electrical a call today on (07) 4121 4294. What are Safety Switches and Switchboards? Safety switches, or residual current devices prevent zapping. These differ from circuit breakers, which prevent power surges and protect your appliances; safety switches protect people. It is vital that these are installed in homes to prevent your loved ones from harm. We sometimes find that these are non-existent on older homes. Safety switches are a legal requirement for all homes built from 1992 onwards, and they must be installed on older buildings by the landlord after purchase and before leasing out the property. So if you are living in a building which was built before 1992 and which you have lived in or owned since before 1992, then there is a good chance that your home does not have a safety switch. On the other hand, switchboards are the brain of your house’s electrical circuit, and they are where all the electrical ‘nerves’ of your house meet. Old, outdated switchboards may not be capable of supporting the installation of new appliances; for example, when we install split-system air-conditioning, we quite often have to upgrade an existing switchboard to prevent short circuits. If you have flickering lights or experience power trips frequently, chances are you need your switchboard to be replaced. Please give us a call if you’ve experienced any of these problems, or are concerned about the status of your safety switches, to ensure the safety of you, your family, and your appliances. Get in touch to request a quote for the replacement, repair or upgrade of your switchboard or safety switch. Call Watkins Electrical on (07) 4121 4294.